Questions? Contact Customer Service at 800-727-5257 to learn more about this web-based product. Safety training is a huge part of OSHA compliance. But finding the time to develop OSHA training resources – training meetings, PowerPoints®, and safety meeting topics – can be time-consuming. Relax. Safety.BLR.com, with hundreds of downloadable training resources, is the online health and safety resource that will make your safety training job a lot easier! Safety.BLR.com gives you instant, 24/7 access to hundreds of industrial safety training meetings and checklists, federal and state compliance analysis, safety best practices, OSHA regulatory developments, and more. And no website is more practical or easier to use. Your online safety manual! BLR's safety professionals save you time and trouble with valuable insight into new regulatory developments - updated daily! Questions? Contact Customer Service at 800-727-5257 to learn more about this robust, web-based product. 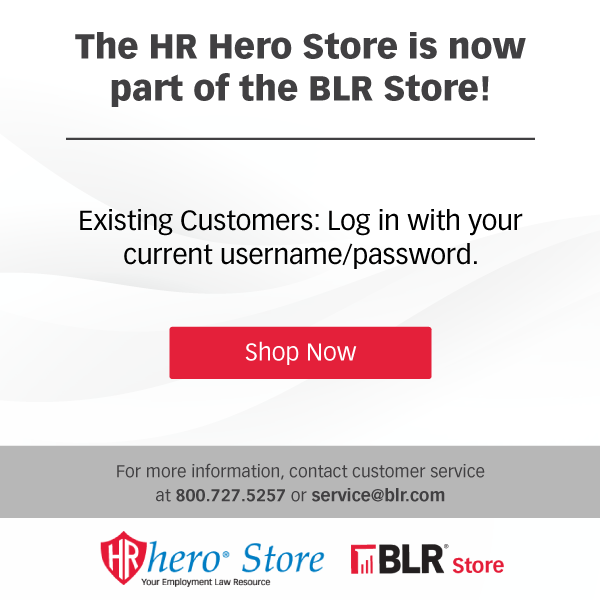 Want to see Safety.BLR.com in action? Click here to see a live sample of the site. 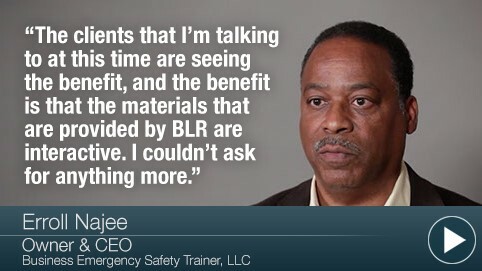 I believe in Safety.BLR.com, it has helped our company and myself on compliance and training needs with the resources that it has to offer. Plus, it’s a very user friendly website. I appreciate all that BLR provides us. Safety.BLR.com is exactly what I need to help me fulfill requirements for my environmental, health and safety management system certification. The quality of the information on Safety.BLR.com is impressive and the tools are a valuable resource to help me do my job effectively as a safety professional. 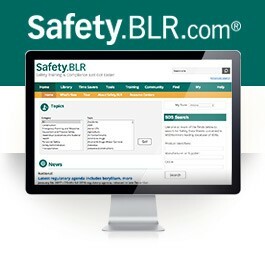 I routinely use Safety.BLR.com in my three step process. First, I review the regulatory analysis to identify OSHA training requirements for the identified training topic. From a Safety Training standpoint, it is a wonderful synopsis of how OSHA expects our clients to comply. Next, I use the Written Safety Plan templates customize documents that tracks OSHA training requirements. Finally, I use the BLR training materials for scheduled Safety Training meetings to manage the risk of identified exposures. BLR delivers value to our organization by giving us a “turnkey” product that enables OSHA compliance. Pricing for Safety.BLR.com is for internal organizational use only for one user. For custom pricing, additional users or to discuss external or third party use, please contact customer service at 800-727-5257. Please note that the listed price is for new subscribers only.